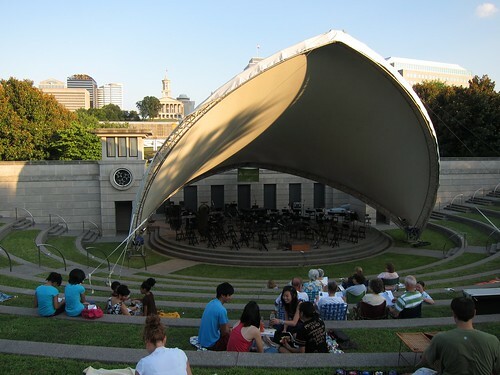 The Nashville Symphony’s community concert series gets started tonight at East Park, the first of four* free outdoor performances scheduled for this month (three are this week). It’s perfect weather to sit outside, plus if you tweet about being at the symphony every night while everyone else is at Bonnaroo, all of your internet friends will think you’re super classy! Win-win. We recommend bringing a chair or a blanket and a water bottle**, but do whatever moves you. *There are actually six community concerts this year, but two of them cost $5 and are far away and one of them has already happened, so four it is. **Or you know, juice or soda or… whatever.